Information that gives you insight into post-frame construction and in making your building project a success. Spring has sprung! The remaining evidence of last winter’s snowfall is melting away. Seeds are starting to take root. The surrounding scenery is coming to life with new sprouts and blossoms. Warmer temperatures are here to stay. Post frame projects are in full swing. It’s our favorite time of the year. It’s not uncommon for a pole barn or post frame builder to have different warranties, but would you know where to look for a warranty before you spoke with a salesman over the phone? Enjoy a smoother construction experience. 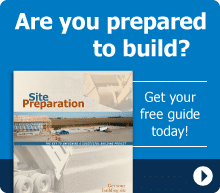 The guidebook that offers essential steps and information which lays the foundation for an on time and on budget project. As you enjoyed your Sunday drive through the countryside, you couldn’t help but notice the diverse lineup of pole barns. The durable farm shop for a hardworking farmer and his/her heavy equipment. A spacious hobby storage building for the outdoorsman’s RV, boat, and ATV. An equestrian’s dream horse barn. The design flexibility of a post frame building is mind-boggling. It’s the time of year that most of us are looking forward to...nice weather! The days are starting to get longer, the temperatures are finally starting to get warmer (unless you live in the Midwest because mother nature likes to play tricks on us), and you can finally start working on getting your property spruced up for spring. Congratulations, you’ve decided to build your dream pole barn! You’ve been consciously saving your money for months, or even years. Now that you have the funds, your free time consists of designing the perfect building online. A 60 x 120 x 20 insulated hobby shop with storage for your classic car collection. You can barely contain your excitement as the floor plan starts to take shape. There are three kinds of people in the world: Those who make things happen Those who watch things happen Those who wonder what happened Since you’re reading this blog about general contracting your pole barn or post frame building, there’s a pretty good chance that you fall in the “make things happen” group.